When the seasons change, Starbucks also changes the food that they offer that you can partner with your coffee and tea. These are some of the new sandwiches and pastries that they have this fall ( BTW - in the Philippines - we only have wet and dry season - but Starbucks insists on having four seasons ). 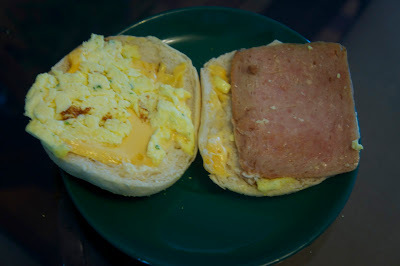 Classic Spam with Egg and Cheese Sandwich. They sell like hotcakes. Spam is very popular with Filipinos. I've been told by my American friends that Spam is cat food. The Barista said they have a new pastry. He said he never tasted anything like it before.and he highly recommends it. When I asked what it's called - he said it's called a French Toast. I silently snickered. If you order this make sure you tell the barista not to over toast. 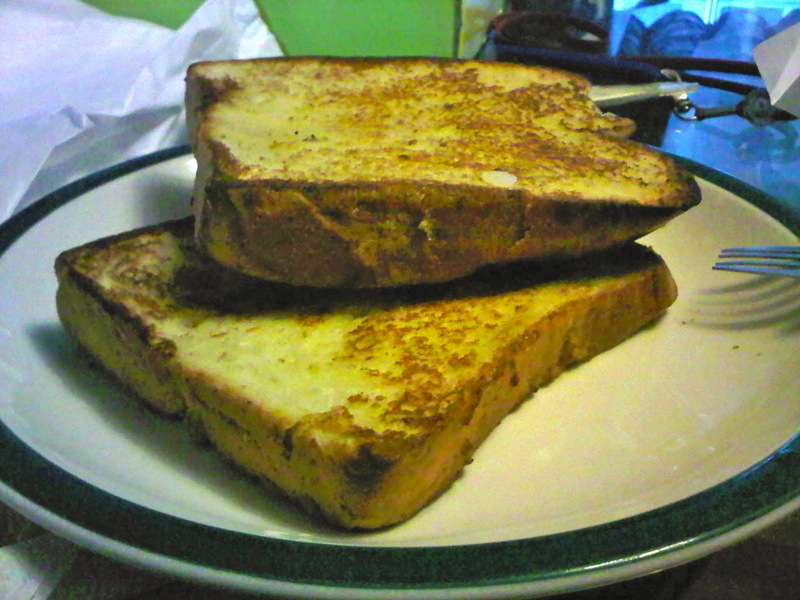 I think they want it to look like Biscocho and they over-toast it. 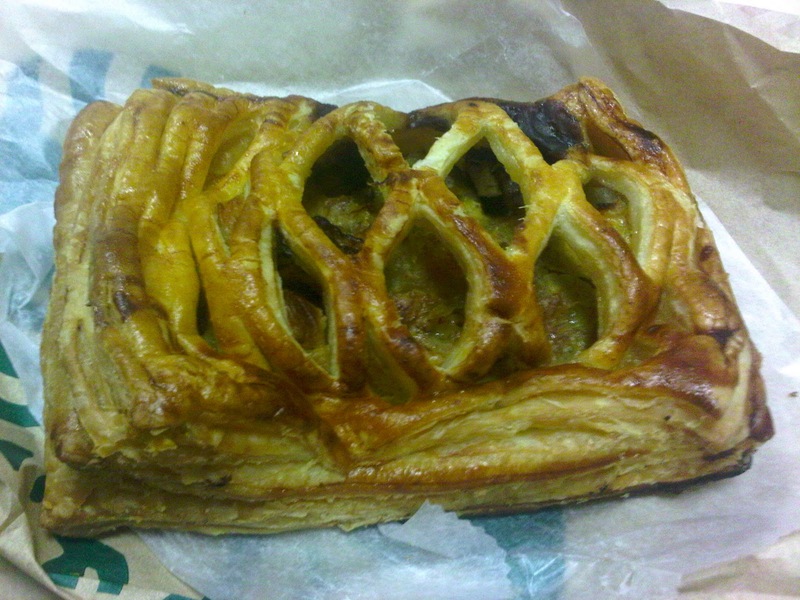 A new pastry filled with Chocolate and Banana. Not my favorite. still fruit & nut toast for me. grrr that they removed it on the menu!